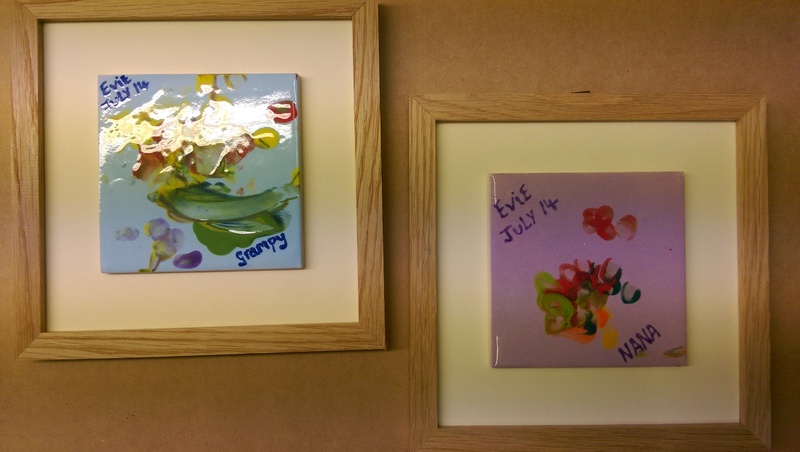 Two pretty little tiles with additional painting by young children. Framed in an unobtrusive oak frame and faced on an ivory mountboard. This entry was posted in ART, Picture Framing and tagged arts, Children's art, framing, mounts. Bookmark the permalink.